Due for a weekend trip to escape the city? 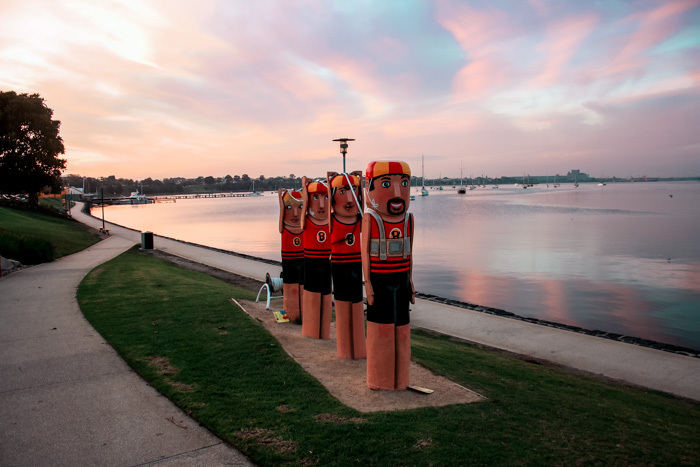 Delve into these fun Geelong attractions to inspire your next Melbourne family getaway. I get it. Sometimes a trip to a holiday destination along the Great Ocean Road is just too damn far for a short weekend getaway. So, what are we, Melbournians, left with that's under 2 hour's drive away where whiney kids won't drive us completely bonkers in the car? 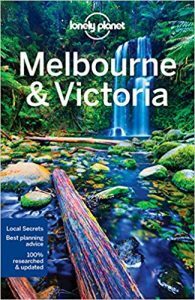 The Mornington Peninsula, Phillip Island, or perhaps even Ballarat if you're not fussed about visiting the coast. But, wait, there's also Geelong. Didn't think of that one, did ya? Filled with super friendly locals, this flourishing city by the coast breathes good vibes, and best of all - it's packed with amazing food and fun sights. 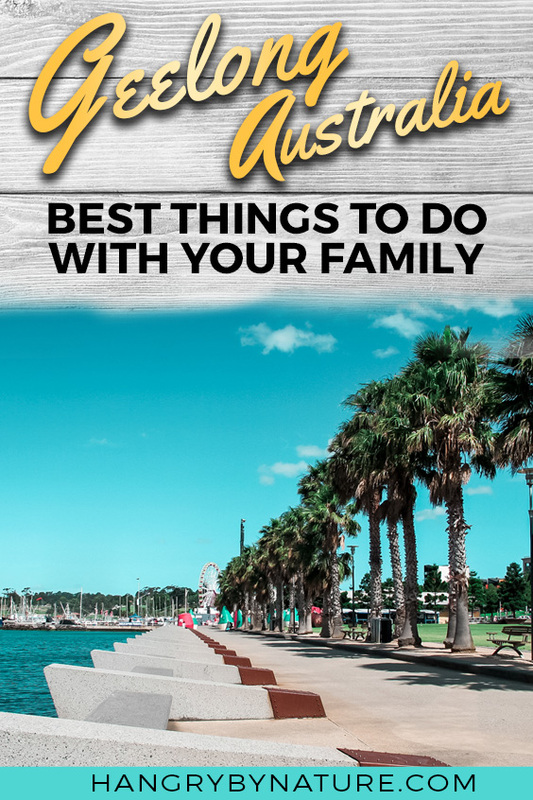 And, to all my parent homies on the same bandwagon - the constant struggle to entertain kids - I can assure you that there's no shortage of kids' activities in Geelong. From epic water theme parks to playgrounds and beaches - Geetroit has it all. On top of that, it's only a half hour drive to the surf capital of the state - Torquay. How much better located can you possibly get? So, what are you waiting for? 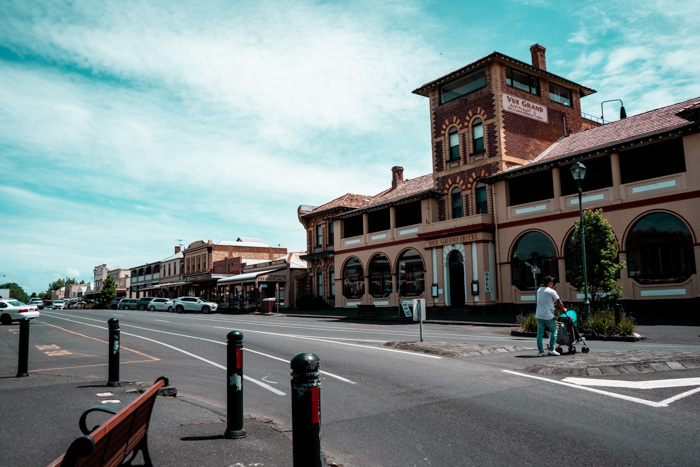 Get your bags ready and transport your family's derrieres to Geelong and explore all that this lively place has to offer. Looking for more Melbourne day trip ideas? When is the best time to visit? Summer, duh. To avoid peak school holiday crowds - don't come between December to January. February and March are perfect - the weather is still warm and you'll be able to swim in the ocean without acquiring hypothermia. You'll find everything you need in Geelong. Thinking of packing your entire pantry or doing an epic grocery run before coming down? You won't have to. Geelong has all the shops and supermarkets one could possibly need. Aldi, Woolies, Coles, organic and health stores. Lighten the travel load. What's the weather like? Pretty similar to Melbourne, really. On occasion, you'll find it slightly cooler due to the ocean breeze, so make sure to pack some thicker layers (especially in winter). How far is Geelong from the Great Ocean Road? It's only a 30-minute drive to Torquay (where the drive begins) from the city centre, which is why Geelong is the perfect base or first stop on your journey. Best place to park? Parking is very affordable - most spaces won't cost you more than $6.80 to park for the entire day. Safe to say, you won't get ripped like in the Melbourne CBD. Visiting Great Ocean Road? Take a look at this detailed 2-day itinerary. For more exclusive kid-friendly travel guides in Melbourne, sign up to the newsletter. Alright, look. On paper - Geelong is not a big city, and you might not think there's much to do. But, hear me out. We recently attempted to do Geelong and the surrounds over 3 days, and... You guessed it. We didn't even get around to half of the things I had on our itinerary. Guys, there's a myriad of things to do in Geelong and you couldn't cover it in one weekend even if you tried your absolute hardest. What's the first thing all visitors do when they arrive in Geelong? Head straight to the Waterfront because that's where you'll find food, cafés and stacks of activities that'll put a smile on kids' dials. 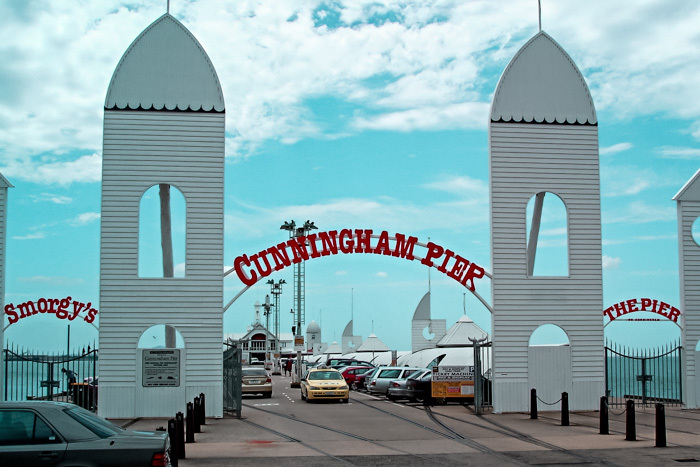 Stroll down Cunningham Pier and see if you can spot fish in the water, duck into Carousel Pavilion that houses a 127-year old working steam-driven carousel, snap a pic next to the Bayside Bollards, take a spin on the Giant Sky Wheel to view the Waterfront area from above, or eat your heart out at one of the many Geelong restaurants dotted along the Beach Road. 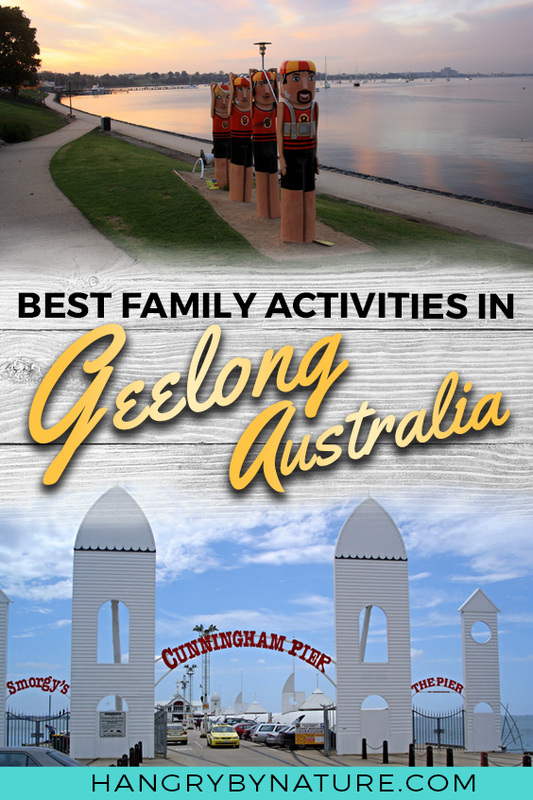 One of the top Geelong attractions for families when visiting in summer is the Eastern Beach Reserve, a huge grassy outdoor space where families can pitch up tents, roll out picnics or enjoy barbecues while the kiddos run amuck at the playground, dip in the shallow children's pool, or leap off the diving tower at the Enclosed Beach. 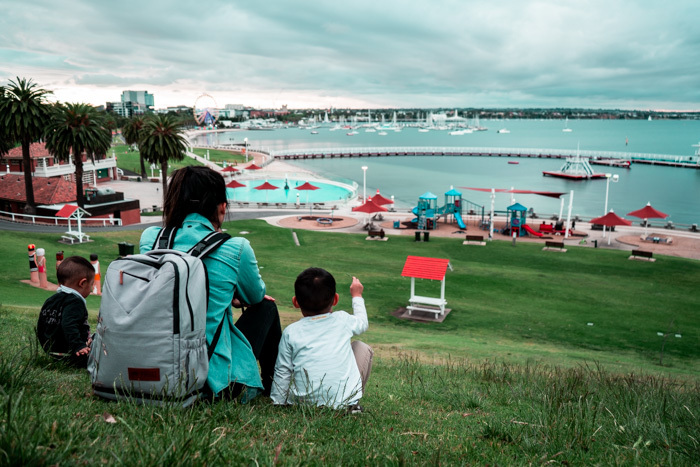 There's no shortage of kids' activities in Geelong, but this is also a great area to explore without little ones in tow. The Grand Staircase leading to the beachfront makes for a great Insta-photo opportunity, or stroll along the over-the-water boardwalk that makes up the shark-proof Enclosed Beach and soak in the serenity of the ocean. One of the most exciting things to see in Geelong is - Adventure Park - Victoria's largest water theme park, that houses the exhilarating and heart attack-inducing slide - Tornado. Warning though, once kids enter this place - they will never want to leave. So, if you're prepared to deal with that kind of outcome (speaking from experience), then I dare you to visit. If thrill seeking is not your cuppa tea, don't fear. There's plenty of rides and activities for scaredy cats and young children. Squeeze your behind into an inflatable doughnut and float down the Lazy River sippin' on a cold beverage. 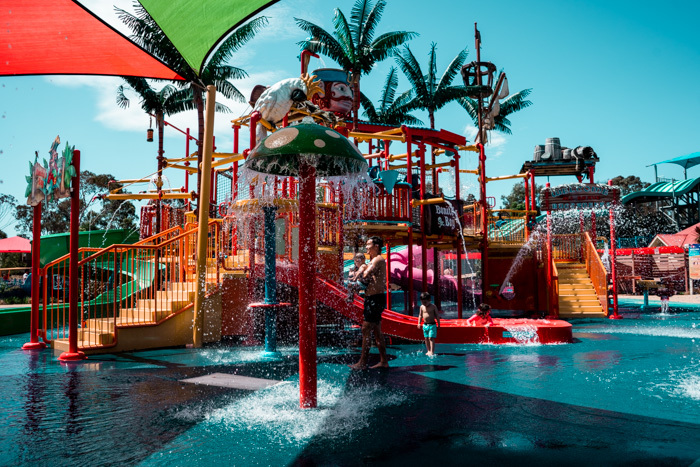 There's something to be found for all age groups, the park offers a Tiny Tots Splashzone, a Ferris Wheel, rollercoasters, carousels, paddle boat rides, Mini Golf, and so much more. We visited with our 1 and 3-year old and despite not being able to experience the craziness that is the Tornado, we spent most of our time between Kids Town theme park and the water playground at Bonito's Bay, which pretty much took up the entire day. Found within Eastern Park, this is a little hidden gem that not many visitors come across. The gardens are immaculately maintained, with a broad collection of flora and fauna for botany enthusiasts to admire. With an abundance of open space for kids and dogs to run wild in - it's the perfect place to relax and soak in the fragrances of nature (provided you're not allergic to them like I am). On top of that, you can also enjoy a cuppa tea or coffee and sweet snacks at The Tea House. Abandoned for 45 years, Powerhouse Geelong is Australia's largest indoor space to create ephemeral street art inside a 3,000 square metre building. Over 220 artists have contributed their pieces thus far, with at least 3 new artworks produced every day. What a way to convert an abandoned and formerly glum-looking power station into a vibrant arts precinct that stands to rival Melbourne CBD's famed Hosier Lane. Okay, look. I know. It doesn't sound overly exciting, but the National Wool Museum has so much more to offer than you think. It's where history, science, fashion and art meet to tell an authentic Australian story in an interactive and entertaining way. Probably one of the most underrated Geelong attractions, this museum is considered to be one of Australia's cultural treasures. There's a whole heap of hands-on activities for kids, such as sock knitting or the wool carding machines, and even a sand and LEGO play area. A treasure trove and haven for those who love their collectables and, well, everything vintage. With 60 unique stalls to stroll past, you'll find old signage, jewellery, furniture, retro goods, upcycled creations, industrial items, clothing and tons more. This is one of the most fun and unique things to do in Geelong, I mean, the good times don't stop at vintage shopping. If you need a breather, pop over to The Pickers Union for smiles, good coffee, and a mean serving of smashed avo on bread. Nerd or not - this is one place everyone can find something or character they have something in common with. I'm a Harry Potter fan, so when I saw a Hagrid figurine, I was done. The kids went around calling out the names of all the characters in the entire Marvel universe and Andy spent his time gawking at everything from Star Wars to Pokémon. I literally had to force-drag him out of the store because he was ready to sign a rental agreement and move into the store. They even had life-size figurines of Iron Man, Wonder Woman and a whole bunch of other popular characters. Love a good hair-raising tale and maybe a spook or two? 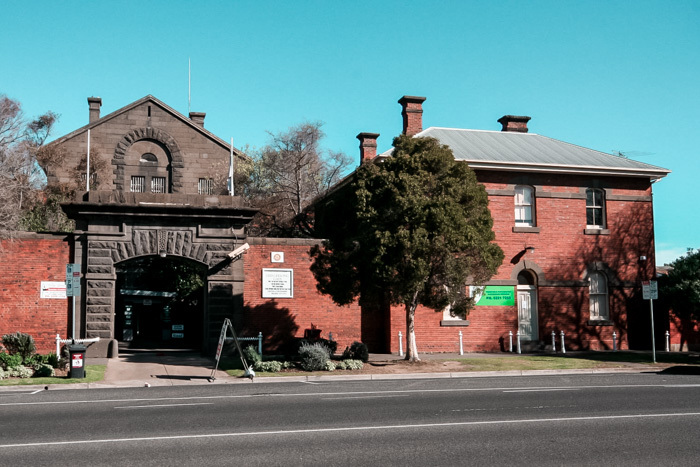 The Old Geelong Gaol is one of the must-visit Geelong attractions that you cannot forego. With fabulous guides who tell (and sometimes even enact) spine-tingling stories of what prison life was like from the 1860s to early 1990s, you'll walk (or run) out of this place feeling intrigued and horrified at the same time. Several visitors have reported feeling something tug their pants or a hand behind their ears in certain parts of the old gaol. So, if you're down for some heart palpitations and lessons in history, you need to check into this place. 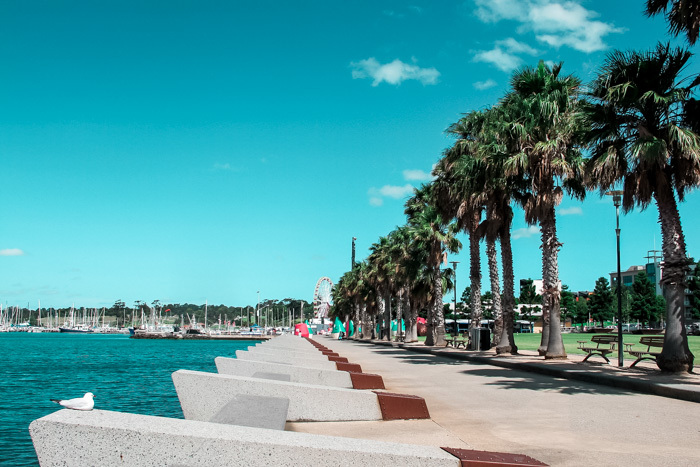 If you've run out of things to do in Geelong, well, then you're in luck because there's a whole heap of sights and coastal gems that surround this bustling little city. 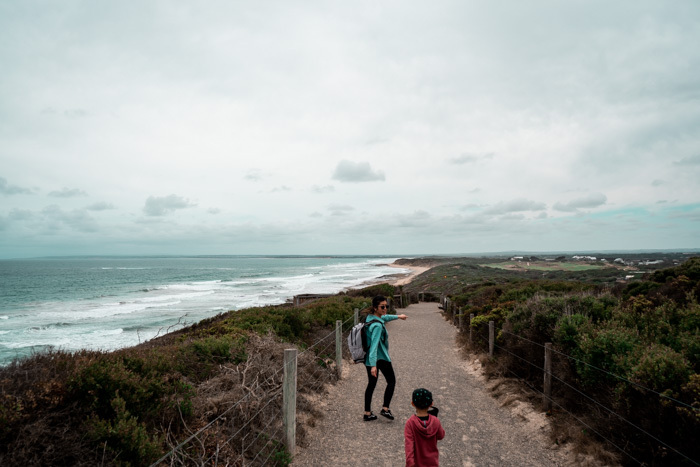 Our favourite half day trip involved driving down the Bellarine Peninsula and scrambling along the rocky shores of Barwon Heads and exploring the former seaside resort town - Queenscliff. One of the most scenic places to visit in Geelong, the Bellarine Peninsula is also home to Searoad Ferries where you can jump on a 40-minute ferry from Queenscliff to Sorrento in the Mornington Peninsula. If your kids are 5 years and over, it's well worth taking a tour of the Point Lonsdale Lighthouse - one of the few manned lighthouses remaining in Australia. The lighthouse has very steep, narrow and winding stairs that visitors will need to climb up and down making it unsuitable for young children. Portarlington is also worth a visit if you're already driving around the Bellarine Peninsula, be sure to stroll along the picturesque rocky pier that closely resembles Melbourne's Brighton Beach Pier. Considering a trip to the Great Ocean Road? Take a look at these day tours. Wondering what's on in Geelong for when you're visiting? Gotchu covered. Below is a list of the region's major events and festivals. For a complete line-up, take a look at the official website. Festival of Sails (January) - usually held over Australia Day weekend, this event is considered to be the largest annual keel boat regatta in the Southern Hemisphere. But, it's not all about boat racing - the festival stretches across the entire Waterfront featuring food, markets and an abundance of activities for kids. Pako Festa (February) - Victoria's biggest festival celebrating cultural diversity takes place in Geelong's famed Pakington Street and is joined by over 40 cultures, featuring street parades, food, performances, workshops and more. Australian International Air Show (Feb/March) - held every 2 years, this is one of Australia's largest events where planes put on incredible shows in the skies and visitors can get up close to military aircraft, unique planes and helicopters. Barwon Heads Festival of the Sea (late March) - a fun family event with a huge line-up of activities for kids, including the famed yellow duck race. Say what? Yup, you heard right. Hundreds of yellow plastic ducks are thrown into the river and pitted against one another for charity. This is, literally, the absolute highlight of the festival. Rip Curl Pro Bells Beach (April) - this famed beach half an hour outside of Geelong is home to the world's longest running and most prestigious surfing competitions in the world. This is an amazing event to attend if you happen to be heading down that way this time of the year. 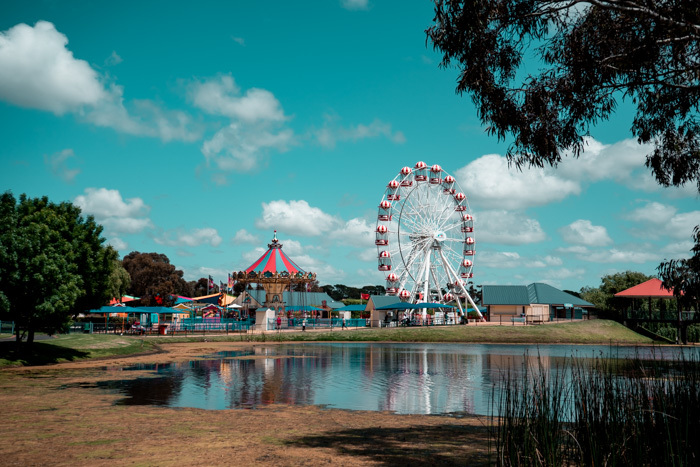 Royal Geelong Show (October) - a fun family event and one of the best kids' activities in Geelong, time your visit with this event to experience Australia's biggest agricultural show. Featuring huge carnival rides, show bags, and fluffy farm animals - this is one event the whole family will love. We stayed at the Atlantic Geelong apartments, which was conveniently located a 10-minute leisurely stroll from the vibin' Waterfront, dotted with top-rated restaurants and cafés - it'll comfort you to know that food is never far away. Although the layout might remind you of a motel, I can assure you it ain't no ordinary motel. 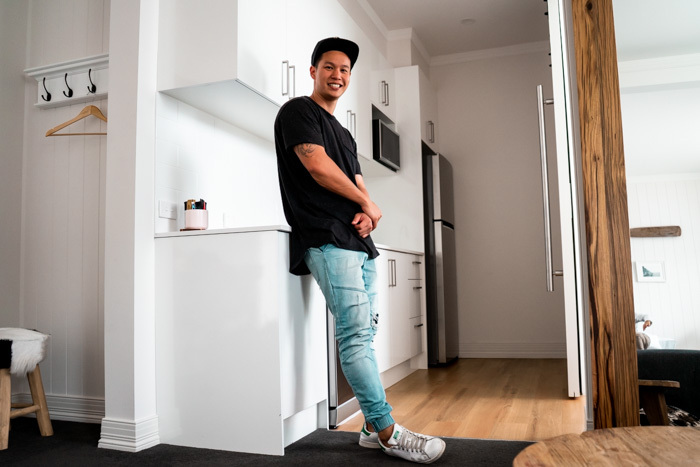 These chic studios and apartments feature private outdoor courtyards, a small kitchenette containing all the essential utensils, tableware and appliances. It was equipped as hell, guys. They even provided a portable stovetop in case you need to quickly whip up a meal for hungry, whiny little humans. What's the one things kids mess up first at any new accommodation? The bed. Oh - did I mention the space? I can confirm that the living space is large enough for two rambunctious boys to splash their toys across and comfortably play their games. Plus, the bathrooms are huge, the shower itself that could fit our entire family inside, plus, the on-trend and tasteful decor makes me want to renovate our home bathrooms. Stat. 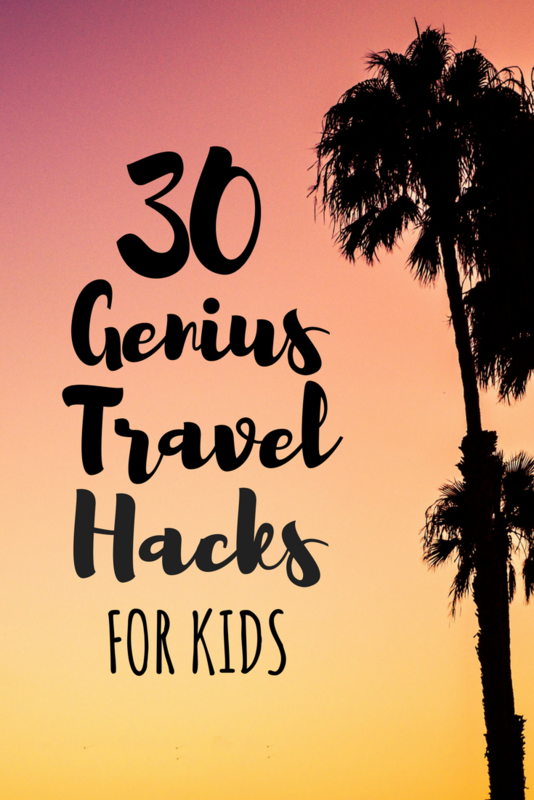 On top of that, there's also free WiFi, private on-site parking and Netflix accessibility - perfect for families travelling with kids who just can't chill without Netflix for a minute (eg. my kids). On top of the top of that, the naturally bright and cosy rooms are decorated with modern furnishings that ooze all the beach feels. Being inside literally makes you want to grab the nearest surfboard and hit the waves (I mean, I don't even surf but it had that effect on me). The kitchenette where I spent most of my time serving food to my 2 hangry boys, plus man-child. 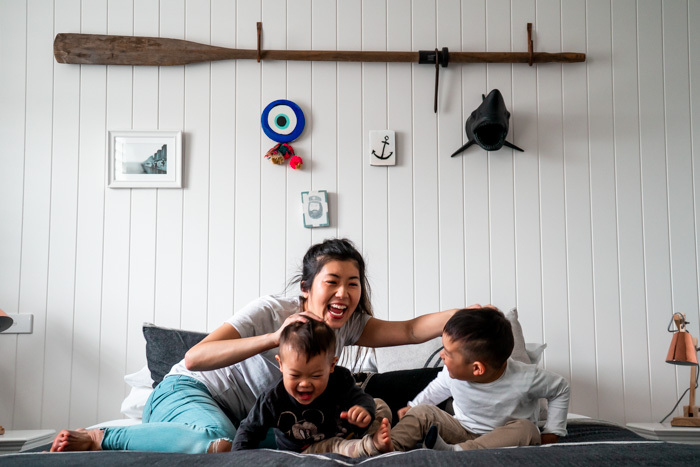 On the real though, this is the perfect Geelong family accommodation for a short weekend stop to explore the city and Bellarine Peninsula. For budget-friendly, clean and modern accommodation close to the Geelong Waterfront, you absolutely can't go past these stunning units. Our stay was graciously hosted by Atlantic Geelong. All photos, videos and experiences are, however, our own. 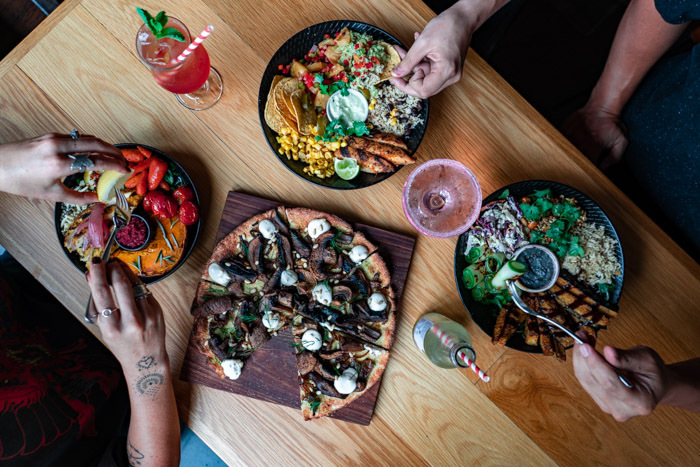 Geelong is a sanctum for food lovers - you'll find no shortage of delicious eats from artisan coffee and brunch to fusion eats, and scrumptious feeds at super hip wineries and breweries. While we're on the topic of breweries, Little Creatures Brewery is a must-visit if you enjoy a frothy bevvy coupled with a to-die-for menu in a super cool industrial setting where the kids can run amuck. Think Grounds of Alexandria in Sydney, but wayyyy less hectic. Try the Chilli Tomato Mussels, Prawn Pizza and, to top of your foodgasm, Double Chocolate Brownie ? For one of the finer Geelong restaurants for a juicy steak or rack of ribs, you can't go past Squires Loft. Next to it, one of the best new restaurants in Geelong - Yeah Boy. 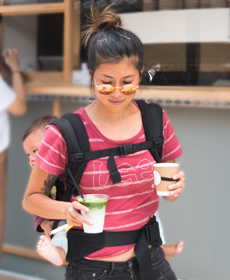 Modern, hip and kid-friendly, this is the place to be if you want a healthy feed with a twist. Must-tries are the Kentucky Friend Cauliflower, Chicken Sexi Mexi bowl, Mushroom Pizza and dairy-free Nice Cream. They even have a healthy kids' menu available. An O.G. in the Geelong brunch game is Pakington Pantry, best known for their aromatic coffee, Spanish Omelette and burgers. For a budget-friendly option that the kids are sure to love, swing by King George Fish & Grill for Fish & Chips and all things seafood-y. Geelong is located 75km southwest of the Melbourne CBD and is easily accessible by car or the V-line (regional train). Driving from Melbourne to Geelong: From the CBD, it's accessible via only one road - the M1 freeway from the Westgate Bridge. From there on, it's roughly over an hours drive. For the best rates on hire cars, we use and recommend Rentalcars to compare prices and pick the perfect car suited for your travels. PRO TIP: Avoid driving during peak hour. The M1 and Westgate is notorious for traffic jams. Plan ahead to avoid travelling during peak hour so you don't get stuck in crazy westside traffic. Getting from Melbourne to Geelong by Train: Simply jump on the Geelong line from Southern Cross Station and it'll take you directly to either the North, South or Main station. Services usually run every 10 minutes during peak times or every 20 minutes all other times. Check the V/Line website for more information and schedule times. There, you have it - 10 Geelong attractions you must add to your itinerary. On the real, if you're not easily spooked, the Gaol is an underrated experience for lovers of history, crime and everything paranormal. If time permits, a drive down to the Bellarine Coast also needs to be on the agenda. I wish we had done this sooner! 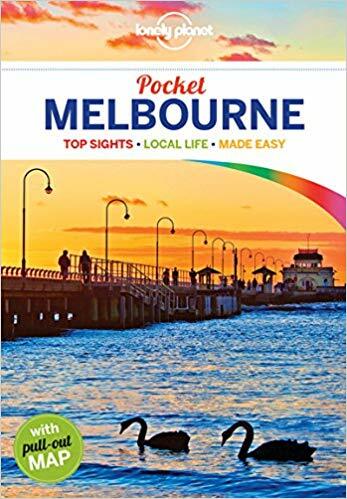 Looking for more family-friendly Melbourne travel guides? Did this guide help you plan your Geelong trip, or at the very least give you a chuckle? Sign up for more humour & Melbourne guides. For ideas on what to pack for a family trip, check out our gear and accessories that we take with us on every single trip. 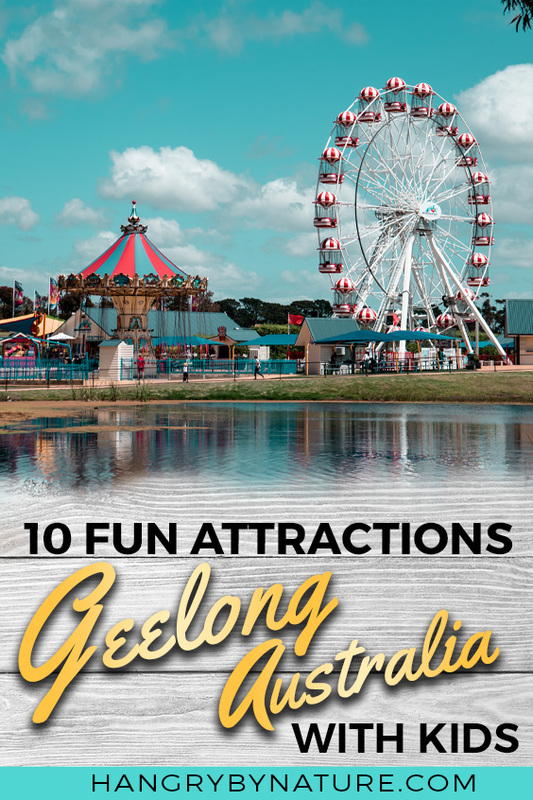 Which attraction from the list above are you most likely to visit in Geelong? Tell us in the comments below. What a lovely guide! 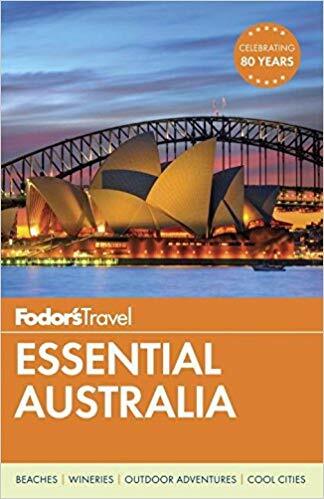 I’m bookmarking it for when I finally get to Australia. This looks great for a family trip. Worth going to Geelong for the diversity of foods!